HomeCultureHow Can a Journey Across the Southern U.S. Impact Aspiring Writers? The cultural diversity of America holds a treasure trove of experiences, especially when you venture into places you have never seen or visited before. 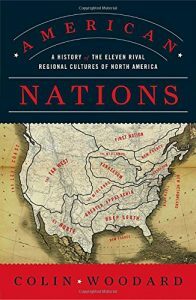 In his book, American Nations: A History of the Eleven Rival Regional Cultures in North America, Colin Woodard actually identifies North America as a nation of 11 distinct cultures with close to half of them covering a distinct Southern route across the United States. The way you write about your experience of the American South should be presented in a way that makes a profound impact. The best way to ensure that your ideas are being conveyed in the best way possible is to seek the help of a few seasoned academic writing pros along the way. EssayPro is a key example of the kind of service that can enhance your own writing efforts. At this website, you can ask professional essay writers questions about writing, and they will respond with the ideas and advice you need to write confidently and with authority about your experiences. The American South provides travelers with the opportunity to experience several of its more predominant cultural regions, according to Woodard. The Left Coast, El Norte, Greater Appalachia, the Deep South and New France all touch the southernmost parts of the country, and each region offers education and inspiration for aspiring writers. Let’s have a look at each and see what they all have to offer to aspiring writers. Extending into Southern California, this cultural sect was originally colonized by people from both New England and Appalachia. Writers who thrive on topics related to cultural diversity will find great inspiration in the Left Coast. The blending of traditions and attitudes makes for some very interesting experiences in the areas of art, music and local cuisine. The Appalachian influence is most predominant in central to Southern California and dissipates quickly should you decide to divert to the North, giving way to a more metropolitan view of life in general. Spanning parts of California, Arizona, New Mexico and Northeast Texas, the “Tex-Mex” culture, food and linguistic dialects associated with El Norte encapsulate well the spirit of this cultural region. As an aspiring writer, you will want to spend some quality time in El Norte. That’s not hard to do either since it covers quite a bit of ground. Hispanic studies students, American history buffs and culinary arts enthusiasts will find more than enough inspiration to fill a journal, term paper or novel here. While some view it as a derogatory term, the “redneck” culture that dominates this cultural region brings with it some of the best examples of rustic Americana. If your writing takes you to places that include some of the greater obscurities of American culture or history of indigenous cultures with emerging European influences, Greater Appalachia will give you a good deal of insight and inspiration. The region encompasses parts of Arkansas, Tennessee, Texas, West Virginia and Oklahoma in the South with parts reaching and annexing further North. When you think of greater Appalachia, think America’s Heartland and all the images that term evokes. Now add to it a distinct Southern attitude and a laid-back pace of life. These themes dominate across the southernmost parts of the region. This cultural region of North America has a somewhat sordid past, but it is the perfect place to learn about the type of mindset that gives birth to thoughts of things like racial inequality and radical personal liberty. Some would argue that the Deep South adheres to these concepts to a fault. The Deep South has a very separatist cultural attitude. Its social structure is extremely polarized and breeds a distinct mindset that sets it apart from most other regions and cultures around it. Alabama, Georgia, Florida, Texas, Mississippi and South Carolina are all in part or in whole parts of the region. New France is comprised mostly of southern Louisiana in the South and is best known for the Creole culture that dominates it. New Orleans, Lafayette and Baton Rouge are popular destinations. Writers with a focus on art and music will find themselves immersed in an environment of endless inspiration here. Religion and spirituality are also major themes that writers visit this cultural region to explore. One thing that the American South has is a vast diversity of cultures, and the areas listed above are among some of the best examples of this. Sure, you can learn quite a bit about that through research, but nothing compares to actually experiencing it firsthand. If you want to broaden your horizons as a writer, it’s time to start packing. Nothing will ever be an adequate substitute for getting out there and seeing the South firsthand.